Two 18-hole golf courses with Nicklaus Designs! 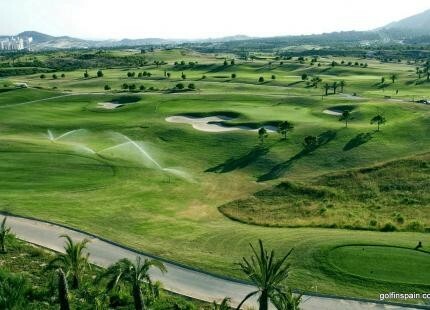 The 18-hole Levante course (Par 72) is an American styled championship golf course. In classic Nicklaus tradition, it features wide fairways and mounded, rolling, yet inviting putting surfaces. Stretching to more than 6 612 meters, it is a bit of a monster and offers stunning views of the Mediterranean and the Finestrat Mountains. 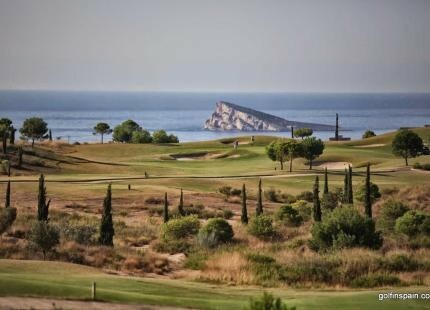 The 18 hole Poniente course (Par 62), reaches to 3 858 meters and offers a gently alternative to its sister layout. Set in a picturesque valley of Mediterranean pine and broad views, it is perfect for all levels of golfers. Although shorter it is still exciting and requires skill from short irons.